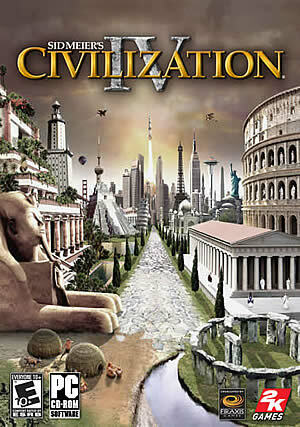 With over 6 million units sold and unprecedented critical acclaim from fans and press around the world, Sid Meier's Civilization game is recognized as one of the greatest PC game franchises of all-time. Civilization 4 comes to life like never before in a beautifully detailed, living 3D world that elevates the gameplay experience to a whole new level. Whether playing multiplayer or single player, team play offers a new way of setting locked alliances that result in shared wonder effects, visibility, unit trading and shared territory that delivers a plethora of new strategic and tactical options.